This site will continue to grow as I find the time to transfer known material to a Web-compatible format. Please look at this page for a announcements of significant site improvements. What is new about this site? Just look! 1944 Bliley Electric Employee Picnic at Waldameer Amusement Park--Everybody loves fun and games, and after many years dedicated to wartime productions, a special picnic was held at a local amusement park. Read the souvenir memoir publication, or look at the 13-minute home movie available online. Click here for more details. 1940/50-Era Employee Relations and Practices at Bliley Electric--Who would have thought anyone would be interested in employment practices at Bliley's during the 1940s and 50s. Certainly not me. But a Research Paper by MBA Student, Rebecca Hobbs, Edwards Air Force Base, California, show that Bliley Electric was a progress company, decades ahead of its time in labor and race relations. Biography of John Wolfskill, W3QKT, Engineer and Inventor---After a year of research and work, John Martin Wolfskill's biography appears on this site thanks to the efforts of his daughter, Sally Wolfskill Smith. It is well written, personal and illustrated by over 25 photos from her collection. John was a great inventor of crystal products and production technology. Christmas Card from the 1950s. Another side to office life.---A recently discovered Christmas card was not the typical business Christmas card suitable for all customers, but one featuring a pin-up illustration by famed artist Gil Elvgren. "Talkie X-TALS", Post-WWII Competition from Surplus Crystals---Following the collapse of Nazi Germany and Japan, the world made a u-turn to a consumer economy. Billions of military items became surplus and among them were frequency-control crystals units. Here is a sample of the new competition Bliley's was facing in that period, the "Talkie X-TALS" kit from the Crystal Products Company. Vintage Product Users Gallery--This is the beginning of a gallery of people using vintage Bliley products on a regular basis in ham radio and home service shops. Look it over and let me know if you would like to join this group. I concluded a major expansion of the site from a simple illustrated history of the company based on my 1982 booklet into some far richer. The "new and improved" site provides a rich resource of additional information based on new findings in the company's archives, recent interviews with company old-timers and their families. What is new about Bliley Technologies? 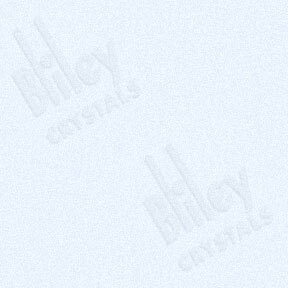 January 2001--The name was changed to "Bliley Technologies, Incorporated" in 2001 to reflect the new owner's desire to update the name to reflect new products and services while keeping one the most respected names in the quartz crystal industry. October 1998 --Bliley's ownership changed hands after 68 years!